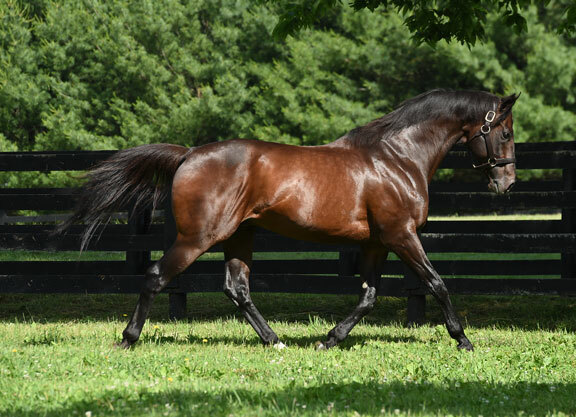 Warrior’s Reward (Medaglia d’Oro-For All You Do, by Seeking the Gold) has been relocated from Spendthrift Farm in Kentucky to WynOaks Farm in Delta, Pennsylvania, and will stand the 2019 breeding season for $4,500 S&N. Winner of the GI Carter H. at four, Warrior’s Reward is represented this year by eight black-type winners, including Axelrod, winner of the GIII Indiana Derby and GIII Smarty Jones S. and GII Commonwealth S. hero Warrior’s Club. All told, Warrior’s Reward is the sire of 14 stakes winners.